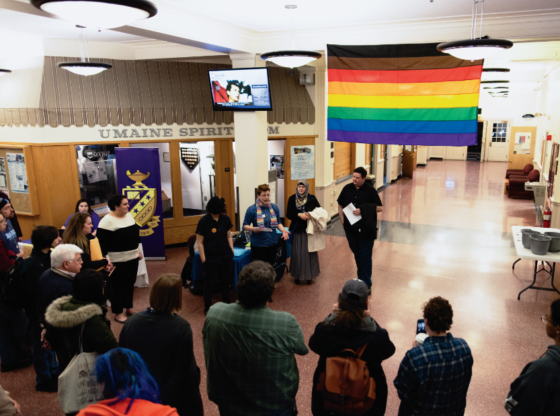 The University of Maine’s School of Policy and International Affairs (SPIA) held its fifth annual debate on Thursday, Nov. 16 in Barrows Hall. 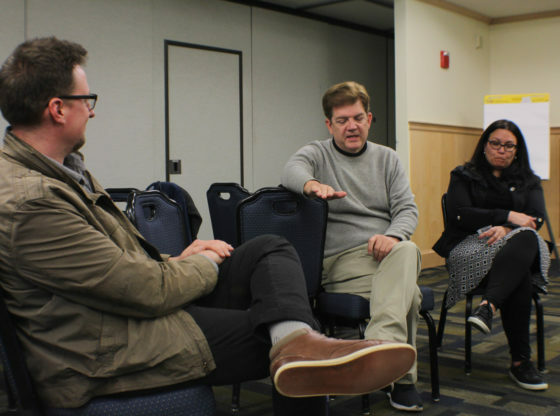 This year’s topic was “War Between the U.S. and China is Inevitable.” Two teams, each comprised of three graduate students, argued whether war is an unavoidable part of our future or not. Students and faculty members cast a vote before the debate began, and then again at the end. Whichever team changed the most people’s minds won the debate. The first team to give an opening statement argued that war between the United States and China was not inevitable. They claimed that speculation into the future was futile, and that the furthest ahead we can realistically predict is 20 years. The team stated that war is not in China’s best interest, due in part to their current focus on domestic problems and also their desire to avoid another “century of humiliation,” a term referring to the period between 1839 and 1949 where Western powers dominated China. The second team’s opening statement contradicted the first, stating instead that China’s efforts to avoid humiliation will instead culminate in an attempted Asian takeover, followed by an effort to become the global hegemon. Jiwon Nam, a second-year graduate student in SPIA, cited political scientist John Mearsheimer, who said that survival is a state’s top priority. China and the United States have starkly different ideologies, making them competitors for hegemony. Additionally, the second team acknowledged the high cost of war for both nations, but said that instead of making war less likely, it increased the chances of war occurring soon, because the U.S. and China each wants to prevent the other from further building their military. Opening statements were followed by rebuttals, where the first team emphasized the friendly relationship between President Trump and Chinese president Xi Jinping, as well as China’s need for stability in Asia because they cannot take in more refugees, while second team said that stability in Asia is impossible without causing conflict with U.S. interests. They also rebutted the idea that 20 years is as far as we can speculate, stating that while the U.S. focuses on present day, China thinks in terms of centuries and plans far ahead. In the closing arguments, the first team said that speculation cannot replace logic, and the second team said that small sparks of conflict in East Asia as well as Xi Jinping’s nationalist ideals are enough to lead China to war. Votes were tallied at the end. In the pre-debate voting round, 21 people voted against the notion that war is inevitable, and 2 people voted for it. After the debate, there were only 9 votes against and 14 votes for, making those who argued that war is inevitable the winners.